Baby360.in is 360 degree parenting platform. This is a platform where you can learn, ask, answer, share, shop best product, search doctor and use tools to get answers to your queries. If it is information then we cover everything related to pregnancy planning, week by week pregnancy tracking, A to Z information for pregnant and parents. Go through article section to read articles written by our expert team. Not only information we help you to find best doctor for mother and baby. You can search doctor from your area in our doctor section and call them to get appointment. If you are confused and dont know which product is best for you and your baby then don't worry. Our team has selected best product for mom and baby based on personal experience. We also have all tools related to mother and child like period calculator, safe days calculator, due date calculator and many more that you can find under tools section. We know that even after reading lot of articles still our many questions are not answered. so we have Q&A section for you where you can ask all your doubts with other parents and doctors. We are available on most of the famous social media platform. connect with us on social media. Raj is CEO/ Founder of Baby360.in. 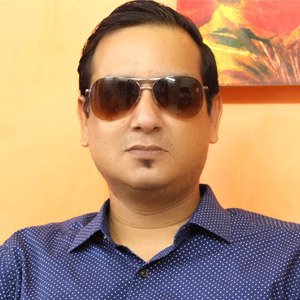 Prior to this he co-founded JAM Infotech Online Pvt Ltd, Rupiyaback.com and technical architecture for Beautifulhameshablog.com. He is Management graduate from IIM Kozhikode and Engineering degree holder from IIT Delhi. He has more than 15 years of experience in R&D, IT, Network and Marketing with RCOM, Qualcomm India, L&T Infotech, MTS India. Raj loves cooking in free time. He also started Raj Papa Da Dhaba YouTube channel where he loves to teach cooking. Kiran born and brought up in Mumbai is a Management graduate and beauty lover by heart. 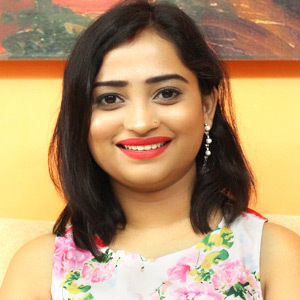 Kiran's passion for make-up and beauty products motivated her to start beauty website beautifulhameshablog.com in 2013. She is founder Director of JAM Infotech Online Pvt Ltd. She is married and has a beautiful daughter, Anika. Her love for makeup and as a mom expert, She started Indian Mom on Duty YouTube channel and co-founded Baby360.in. She loves shopping, buying new beauty products, applying make-up in her free time. Anika is our little baby. She is just 6 years old and studying in class 1st. Anika works as our child model. she is part of our Baby360 YouTube channel. She loves to give click in front of camera for Baby360 website images. She likes singing, drawing and dancing. Priti is an IT graduate from Mumbai University. She has almost 2 years of experience in Web Development. 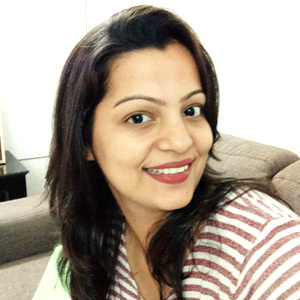 Priti is working as a Software developer and is responsible for coding of Baby360.in. She is passionate to learn new programming languages. She likes Listening Music, Learning new things and Spending time with Family & Friends. 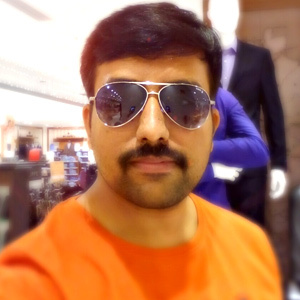 Vishal Ahirrao is our graphic designer. He is having 8 years of experience, including 2D,3D & graphic. Vishal is expert in photo editing and illustration. He is strongly passionate about photography. He likes movies, music and travelling. Shital is IT graduate from The University of Mumbai. She has 1.5+ years of experience in Video Editing. 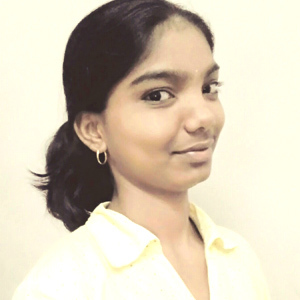 Shital loves video editing and always passionate about it. 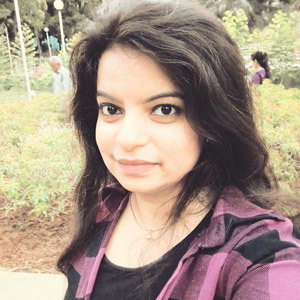 In free time, she Like Drawing, Reading, Learning new things & she Strongly believes in "Be Good Do Good"
Pooja Mane joined us after completing her BSCIT in 2015 from Mumbai University. She is all rounder, explored her skill from video editing, customer support, script writing to data entry. She is calm, patient and have a self discipline. 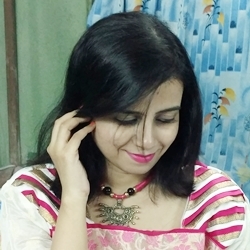 Pooja like Listening music, watching movies and Cooking in her free time. 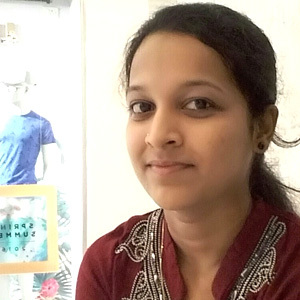 Diksha is post graduate in Science from Bangalore university. She has 5+ years in different sectors of food and consumable industry. 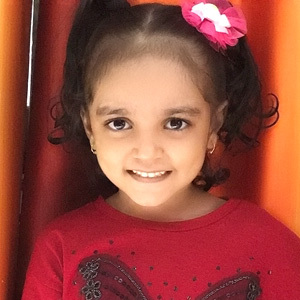 Diksha loves content writing. Her love for reading & writing motivate her to explore passion in creative field. She enjoy cooking, photography and have a great interest to travel and explore new places. Born and brought up in Kolkata, She completed her graduation in English from Calcutta University and then did a Diploma course on Aviation, Hospitality and Travel Tourism. She started her career as an IT Professional, but her passion for social media landed her in Baby360 team. She has more than 4 years of experience as social media manager.